Our exam preparation course is designed to help you get the best possible results in your chosen English exam. We currently prepare for two exams, Cambridge English: First (FCE) and IELTS. 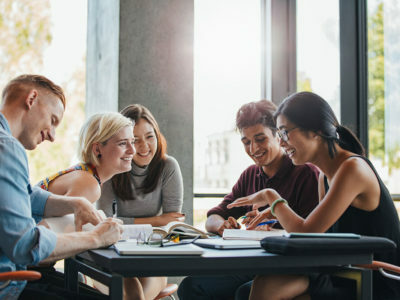 The Cambridge First Certificate Exam (FCE) is an internationally recognised qualification in English, accepted by many employers and educational institutions. It is set at the upper-intermediate level and covers four main language skills – reading, writing, listening and speaking, as well as assessing grammar and vocabulary. 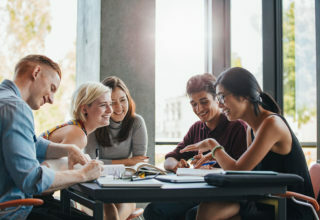 The International Language Testing System (IELTS) tests English proficiency in all four language skills as well, but is more favoured by educational institutions (colleges, universities, etc). Some employers and government immigration agencies also rely on IELTS as part of their recruitment or admittance procedures. The exam preparation classes are conducted in a traditional method of teaching and include exam techniques, intensive writing practice as well as extra speaking and listening exercises. They also focus on specific grammar issues, as well as vocabulary, including phrasal verbs and prepositional phrases. Please follow the link to our Student handbook for our most recent Cambridge English: First and IELTS Results. I recommend this school for those who want to not be afraid to talk. And improve their conversational skills. I learned many new words that are really used in conversation. Here are good and attentive teachers. Lessons sometimes very fun! I am glad to study here!